Simone Porte Jacquemus designed his Spring '19 collection based on what stylish women wear on vacation in the Italian Riviera. 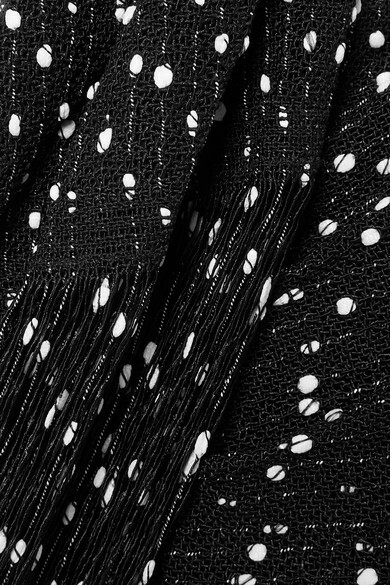 This 'Valoria' top is made from black and white bouclé and has a fringed panel that drapes along the wrap-effect front. Wear yours with the matching skirt.